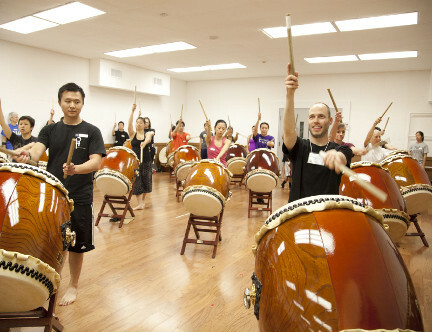 Try taiko on hand-crafted instruments from Japan, learning powerful taiko music from professional players! Open to anyone, especially those who have always wanted to play taiko but never knew when or how to start, this is the perfect opportunity for you. Come risk-free to the first class to get a tour of the facility, background introduction to the artform, and drum time on amazing instruments! RSVP to reserve your spot by emailing yuta@taiko.la or call us by phone. We look forward to playing taiko with you!